Bay of Fires Lodge is located in Mount William National Park in the north-east of Tasmania and is a haven for some of Australia's most unique flora and fauna. Hiking in the Tarkine wilderness. One of the greatest ways to discover and experience nature in all its Tasmanian glory is on your two feet. 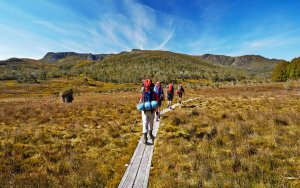 Call it hiking, bush walking, or trekking, Tasmania offers over 2,800 km of walking tracks, and over 880 different walks in its national parks, conservations areas, and reserves. Take your camera, because not only is the natural beauty mind-blowing, but you will surely cross paths with some of Tasmania’s distinctive wildlife and spot its exotic endemic plants. Image thanks to Tourism Tasmania & Sarajayne Lada. 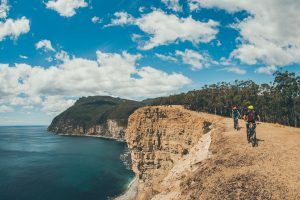 The trails in Tasmania range from quick jaunts and short walks through rainforests, to multiple-day adventures that take more than a day up to its tallest mountain. A wide range of options exist, from ascending to peaks of mountains, meandering through perfect temperate rainforest, enjoying heritage walks, coastal walks and even city walks. Foodies can opt for designated walks for discovering Tasmanian food and wine havens. 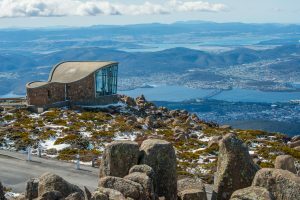 Crisscrossing trails around the mountain towering over Hobart provide a magnificent view of the city. A return hike of 4 hours from Fern Tree to come across the exceptional rock formation that’s known as the Organ Pipes asks for a little climbing. From that point on, the people with cars can continue on to the rocky summit by driving, and enjoy the lookouts along the way. There is also an enclosed cisitor’s centre where visitors can seek shelter and be given the opportunity to be amazed by the scenery minus the biting wind. Australia’s second-oldest national park (after the Royal National Park), Mt. Field National Park takes less than an hour’s drive from Hobart. An easy and enjoyable walking trail (also wheelchair accessible) takes visitors to the exceptional Russell Falls. Below it, the rainforest features beautiful ferns and towering swamp gums. Longer overnight walks are also possible. Beginning from Hobart’s suburb of Mt. Nelson, this trail promises a pleasant, comfortable walk. Due to the climb, it is advisable to be in good health. The one way trail of 2.1 km climbs through open forests and bushlands with wildflowers and a plethora of birds. The Truganini Memorial, close to the summit, celebrates the first-ever Tasmanians, as well as their descendants. Enjoy a coffee or grab lunch or dinner - complete with a view over the Tasmanian peninsula - at the restored cultural Signal Station. 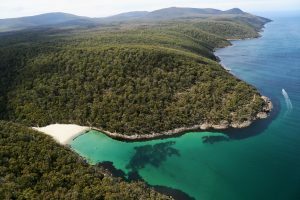 Located in Freycinet National Park, a drive of 2.5 hours from Hobart will take you to the oh-so- gorgeous Wineglass Bay. Getting to the lookout over the saddle in between Mt. Amos and Mt. Mayson can be tricky due to the steep incline, but it is well worth the challenge that takes 1.5 hours each way. The view from the top is one you will never forget. If the adrenaline is kicking in for more, descend to the beach itself down on the other side. Image thanks to Tourism Tasmania & Andrew McIntosh. 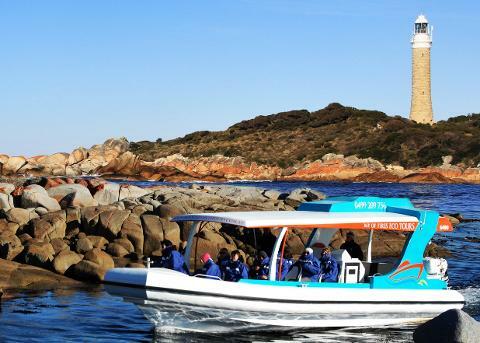 Located in Hobart’s southeast, the well-known Port Arthur penal settlement attracts many visitors. The area features sublime coastal walks that range from a 15-minute stroll to tougher multi-day hikes. The Cape Hauy Track takes you to the the cliffs of dolerite pillars, and the famous challenging climbs to the Candlestick and the Totem Pole. The climb is not necessary, unless you’re a climber up for a challenge. A drive of 2.5 hours from Hobart. From Cynthia Bay there are options for enjoyable short walks alongside the lake, or a more challenging, tougher trek up Mt. Rufus. Chances of spotting wombats and wallabies are high here and during dusk or dawn, you may even lock eyes with a platypus too. 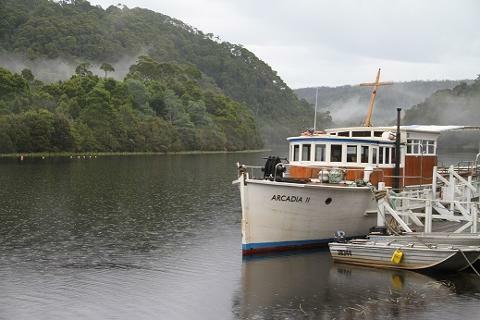 A full- day excursion will have a ferry take you through the lake to Narcissus Hut, and from there on, it’s a 15-km stroll back from the last bit to the Overland Track back to the visitor's centre. Image thanks to Kevin Wells. This is the go-to choice for a once-in-a-lifetime multi-day walk in Tasmania. 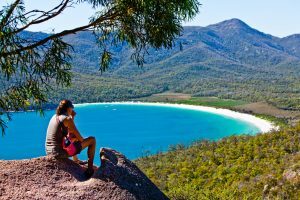 Known as one of Australia’s most sought-after hikes, this 6-day adventure with 65 km of beauty will leave you amazed. Leading you through Cradle Mountain-Lake St. Clair National Park, it sure has its challenges-- day one presents a steep section with mud. But its challenges are worthwhile as you will be rewarded with Mount Ossa, Tassie’s highest mountain of 1,617 metres, flawless lakes, and impeccable splendour. Want more? You can have it, as it doesn’t end there! Tag along with Cradle Mountain Huts to treat yourself to hot showers, delicious gourmet meals, private gorgeously designed huts and the perk of carrying no more than a daypack. 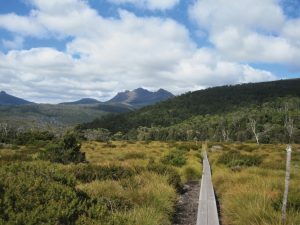 This is Tassie’s only original alpine national park and an all-time favourite amongst wilderness-loving locals, mostly because it can’t be accessed by a main road. This 4-day circuit is filled with natural gems such as dolerite rock fortresses, pencil pine fairytale-like forests, biblical landforms such as King David’s Peak and Solomon’s Throne, and valleys adorned with shimmering lakes and serene lakeside campsites. 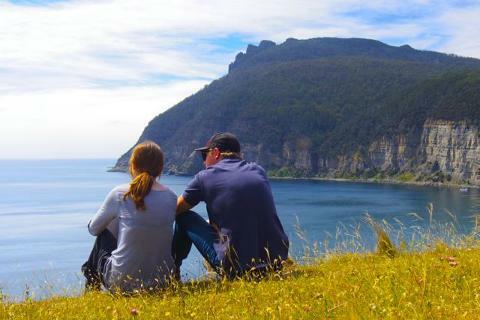 A 46- km journey along the Tasman Peninsula leads through gorgeous natural landscapes with mesmerising cliff top views on Cape Pillar, Cape Huay and Cape Raoul. This 4-day, 3-night adventure is rather a comfortable one, giving trekkers the freedom to explore and enjoy themselves. 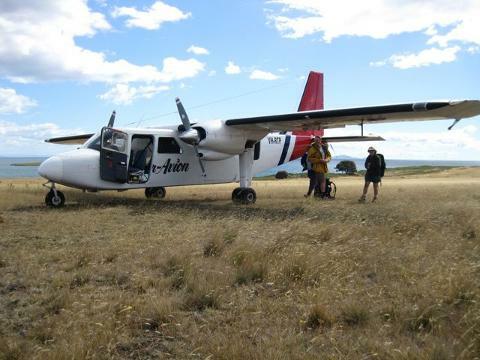 It departs from the Port Arthur Historic World Heritage Site to initiate the adventure. Immerse yourself in beautiful natural environments such as rainforest pockets and coastal heathlands. Test yourself and push your limits to be amazed by some of Australia’s highest sea cliffs. Image thanks to Jesse Desjardins. The Tarkine is home to the world’s tallest hardwood trees, the vast temperate rainforests of the Southern Hemisphere, and a wild, dreamy landscape of rivers, waterfalls and magnificent forest trails. This is a 4-day trip with guided day walks during the day from Tiger Ridge base camp, which has been carefully designed to keep visitors fully immersed in its natural environment, with a connected living and dining area, Japanese style washrooms that looks over the forest, and canvas tents complete with comfortable beds. 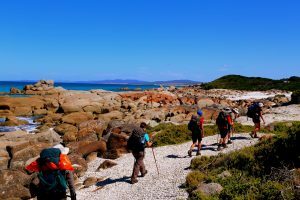 The wukalina walk is a 3-night, 4-day Aboriginal owned and operated guided walk based around the stunning larapuna/Bay of Fires and Wukalina/Mt. William areas. It incorporates the famous Bay of Fires, the cultural homeland of the palawa. 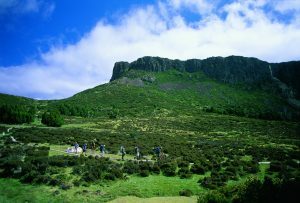 The Wukalina walk is more than just a hike with beautiful scenery, it is a a genuine cultural experience that will deepen your understanding of Tasmanian Aboriginal culture and history. You spend 2 nights glamping in bespoke palawa inspired (domed) huts and 1 night in the meticulously renovated Lighthouse Keepers Cottage at larapuna/Bay of Fires, northeast Tasmania. The northeastern corner of Tasmania has a sunny luminance that’s not as spaciously found in other parts. The coastline at the north of St. Helens is immersed in stripes of white sand, verdant greenery, green health and a sparkling beautiful, turquoise sea shimmering under the clearest of blue skies. What more could one ask for? The 4-day walk takes you to dream-like states with its unimaginable beauty. There is also a non-walking day that’s designated for activities such as bird watching, beachcombing, or kayaking. And there’s more--that’s not all! You will have the chance get to stay in Australia’s first wilderness lodges, overlooking the magnificent ocean, and enjoy its open fires and authentic Tasmanian fine food and wine. Image thanks toTourism Tasmania & Alice Hansen. The Maria Island Walk provides an adventure for the tastebuds too. This 4-day gourmet guided walk starts with a boat ride to Maria Island National Park, where you’ll get to enjoy white sands with no footprints. After that, the forest welcomes you with its peppermint hums and blackwoods, convict ruins, the famous Painted Cliffs, penguins, wombats, Cape Barren Geese and sea lions. The wrapping up of every day starts with pre-dinner drinks with delicious Tasmanian cheeses, continues with a candlelit outdoor dinner to bring some romance to the tables, and finishes with a good night’s sleep in a canvas tent. 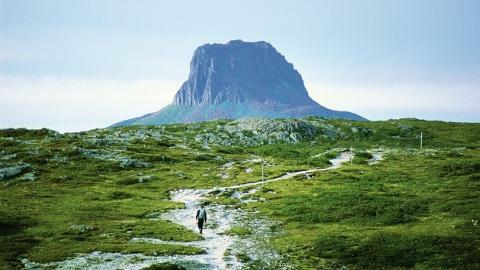 There is an optional climb of 709 meters up Mt. Maria that’s not to miss, as it offers an unparalleled views. Image thanks to Flow Mountain Bike. Unpredictable weather is common in Tasmania-- ranging from icy cold to extremely hot. 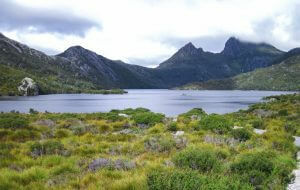 For hikes in the Central Highlands such as Lake Sinclair, Overland Track, Mt. 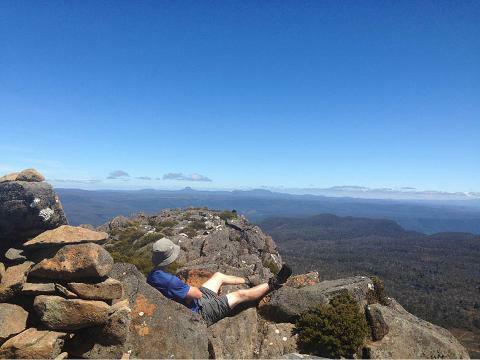 Field, Walls of Jerusalem and such, the best time to go is from December to April. Temperatures can drop quickly with the possibility of snow, but the weather at this time of the year is at its most stable. So be prepared for the cold conditions; and that means beanies, gloves, and all that covers your skin from the frosty cold. Image thanks to Tourism Tasmania & Geoff Murray. For hikes in the east coast, the best times are from October to December and from March to April. Places such as Maria Island and the Three Capes Walk can get quite hot in January and February. But given the instability of Tassie’s weather, you just might get some cool mid- 20’s temperatures. 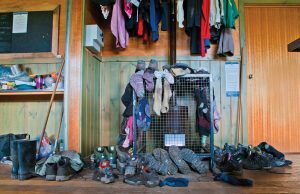 Your checklist of things that you may (or may not) need on your hikes is evidently dependable on your choice of hike, taking in factors like- duration/length, difficulty, and of course, weather. Maps - For the well-established routes, maps aren’t needed but they can come in handy. Tide Timetables - Useful when planning ahead where crossing lagoons or rivers is required, or walking alongside the narrow beaches that tend to flood during high tide. Clothing selection is of utmost importance, and should be done according to the season. Make sure you’ll be warm, and have fast-drying and waterproof clothing and underwear, and gaiters to guard against mud. Image thanks to Tourism Tasmania & Veronica Youd. There you have it! 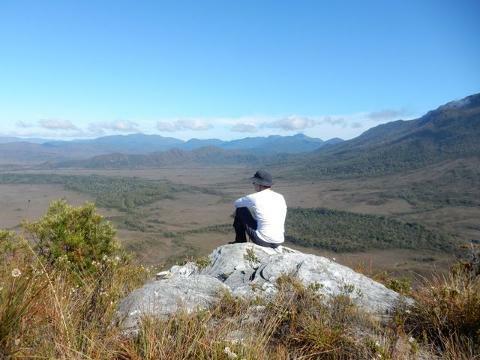 Adventures of a lifetime are waiting for you to come and experience here in Tas. Guided or free, short or long, easy or hard - take your pick! 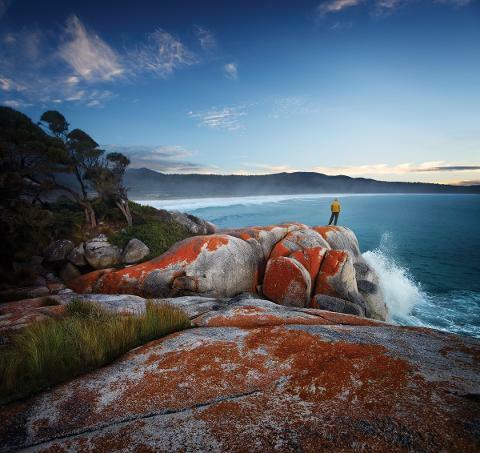 Tasmania has so much to offer that it is safe to say it has something for everyone. So next time someone tells you to take a hike, don’t be offended, because if it’s in Tasmania, then they’re the ones who’ll be missing out! This stunning location offers spectacular scenery, plenty of opportunities to spot local wildlife, magnificent trails and views.